A Sunday Get Out The Vote Rally brought Cong. 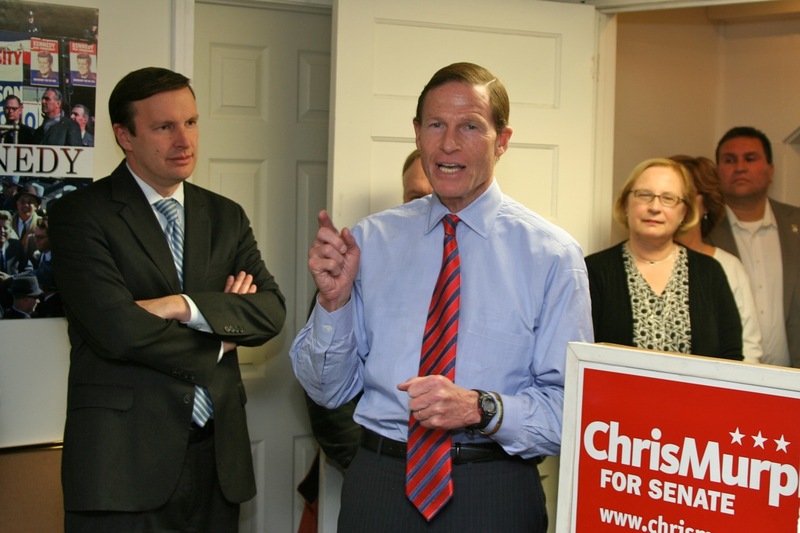 and Senate Nominee Chris Murphy to New Britain headquarters for the second weekend in a row Sunday afternoon in a final push for Democratic turnout in Tuesday’s election. Accompanying Murphy were U.S. 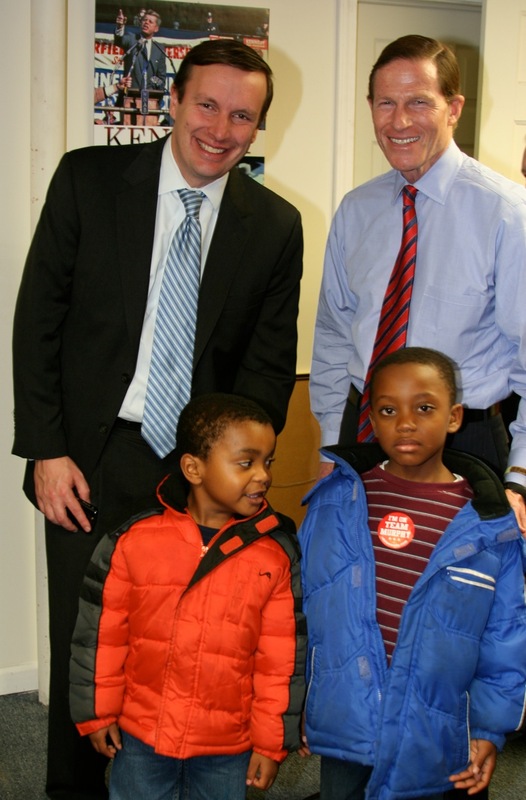 Senator Richard Blumenthal, Attorney General George Jepsen, Comptroller Kevin Lembo. Mayor Tim O’Brien, State Senator Terry Gerratana, State Rep. Bobby Sanchez, Rep. Rick Lopes and Ward 3 Alderwoman Shirley Black welcomed Murphy. The Berlin Democratic Town Committee will hold its election eve rally on Monday, November 5th with a 6 pm cocktail hour and 7 pm program. The event will be held at the Italian Independent Political Club, 16 Harding Street, Berlin. Mayor Adam Salina and Town Chair Fred Jortner extend an invitation to everyone. Special guests include Governor Dannel Malloy, LG Nancy Wyman, AG George Jepsen and Comptroller Kevin Lembo. New Britain Democrats will gather at Angelico’s Restaurant, 542 East Main Street on Election Day following the close of the polls Tuesday at 8 p.m. Local results for U.S. Senate, Congress, State Senate and State Representative Districts 22, 24, 25 and 26 will be monitored and announced. Refreshments will be served and all are welcome. NOTICE: If you do not wish to receive updates from New Britain Democrats write “cancel” in the subject box and reply to newbritaindemocrat@gmail.com. This entry was posted in Blumenthal, Bobby Sanchez, Chris Murphy, Gerratana, Jepsen, Kevin Lembo, Rick Lopes, Rock The Vote, Tim O'Brien. Bookmark the permalink.